Keeping workers safe is compulsory for all companies. However, for employees who work with electrical components and in energized environments, there is a need for safety-related standard rules and products that will help protect their health and lives. To ensure that businesses have safe electrical environments, the NFPA (National Fire Protection Association) published the NFPA 70E, a Standard for Electrical Safety in the Workplace. The main goal of this standard is to protect employees that work around devices that can generate arc flash and other hazards and recommends electrical safety practices. OSHA (Occupational Safety and Health Administration) is a federal agency under the Department of Labor. OSHA’s main responsibility is to ensure healthy and safe working conditions for all American workers by setting standards and providing training, education, outreach, and assistance. As an employer, if you fail to meet the set OSHA standards, you will be subject for hefty fines and penalties. OSHA led to the creation of NFPA 70E standards and includes all its standards in their safety regulations. This involves electrical workplace safety and requirements for employee electrical training. NFPA 70E is the tool that you should use to meet OSHA requirements to avoid expensive fines and penalties. Electrical accidents cause an average of one death every day in workplaces. In the U.S. alone, there are approximately 4,700 injuries resulting from working on or around electricity. OSHA rates electrical hazards as one of the fatal four workplace violations. Initially, having a simple job safety briefing with your employees was enough. However, you are now required to have a written safety plan in your workplace for all employees who are exposed to electrical hazards. Additionally, you have to include the condition and maintenance of your equipment in the safety plan. The recent update provides an alternative to traditional equipment labeling. You can now use digital smart labels in the form of QR codes or barcodes. Digital smart labels can be linked to a central database and make it easier for your employees to access important hazard information including voltage and energy level information that is printed on the equipment directly. A major update in the risk assessment procedure requires your employees to address human errors and the negative consequences they may have on processes, people, equipment, and work environments. As an employer, you’re required to incorporate the hierarchy of controls: elimination, substitution, engineering controls, administrative controls, and PPE to reduce risks to an acceptable level. This update considers PPE (personal protective equipment) as the last line of defense to protect against injuries and not to prevent incidents from happening. 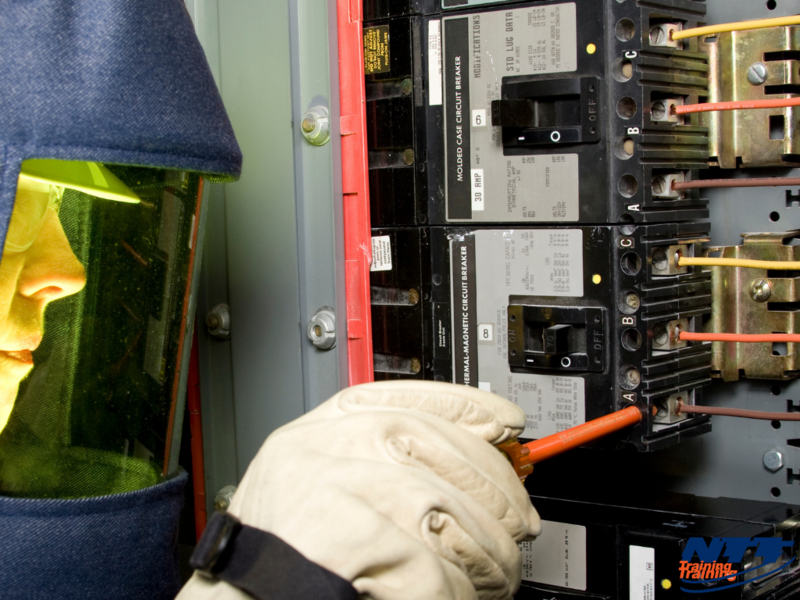 The assessment protocol involves identifying arc flash hazards, estimating the occurrence of an injury or damage to health, and determining whether additional protection measures are necessary. You should choose the right PPE based on the level of incident energy. Choosing the right gear can mean the difference between death and survival after an electrical incident. One of the main NFPA 70E requirements is employee training. Electrical safety training has been made compulsory. Therefore, it’s important that you assist your employees in identifying and assessing electrical hazards and plan on how to eliminate them. The recent 2018 NFPA 70E changes emphasize the importance of employee training, retraining, and training delivery methods. Formal employee training not only helps to reduce the cost of equipment failure but also helps overcome inadequate employee knowledge that often leads to electrical accidents. It is a law: OSHA requires that all employees working with electrical equipment or on energized environments to be trained on how to identify and protect themselves from electrical hazards. Therefore, you have to provide formal training to remain compliant. Training your employees is a better investment than compensating injured employees: Injuries to your employees, high insurance premiums, and damage to your facility can cost your business more money than preventative measures. Electrical safety training is a permanent resource that gives your employees the knowledge to avoid accidents. Get updates on new procedures: New research, new equipment, and new protocol lead to changes in electrical safety standards and procedures, and it’s important that you stay aware of these changes. Previous courses don’t ensure employee certification indefinitely. There are requirements for employee certification through the NFPA 70E. For your business to remain compliant, visit NTT Inc. today to learn how you can remain compliant.